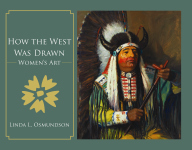 In this collection of masterpieces from cherished female painters and sculptors, Linda L. Osmundson celebrates the accomplishments of female artists and the beauty of the American West. Despite social norms that belittled women’s talents, these intrepid ladies mastered traditional still life, portrait, and landscape techniques and pioneered new art forms that garnered high praise. Selections included here are pulled from Georgia O’Keefe’s stunning paintings, Sally James Farnham’s realistic bronzes, Grace Carpenter Hudson’s luminous oil paintings of Pomo Indians, and Edith Hamlin’s wall murals of the Pueblo people. Iris Wall was anything but an average girl. While most girls in 1939 were learning how to quilt and crochet, Iris was a “twistin’, turnin’, buckin’ bundle of blue twisted steel.” She grew up breaking horses, and riding rodeos in Florida. Although her family didn’t have a radio or television, there was never any shortage of entertainment. There were weekend bonfires and riding everywhere on her very own horse, but the thing Iris loved most in the world was cow hunting. From the first time she saw the Wright Flyers airplanes, Katherine Stinson knew she wanted to become a pilot. But she had trouble finding someone to teach her how to fly because everyone told her she was too young and too small. Finally, when she found a pilot willing to train her, she not only excelled as a solo flyer, but she also became the fourth American woman licensed to fly. 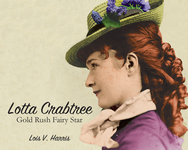 In this unique biography for middle readers, follow Lotta’s early years, her struggle to support her family, her spectacular journey to fame, and her generous contributions that are still changing lives today. 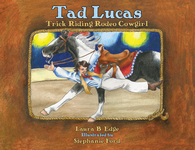 Texan Tad Lucas traveled the world dazzling rodeo crowds with her daring trick riding, bronc riding, and steer riding. Against the odds, women sought out pilots who would give them flying lessons. Many, like Harriet Quimby, Matilde Moisant, Amelia Earhart, Emily Warner, Sally Ride, and others, demonstrated that women have the skills, courage, and determination to fly. Hardcover.